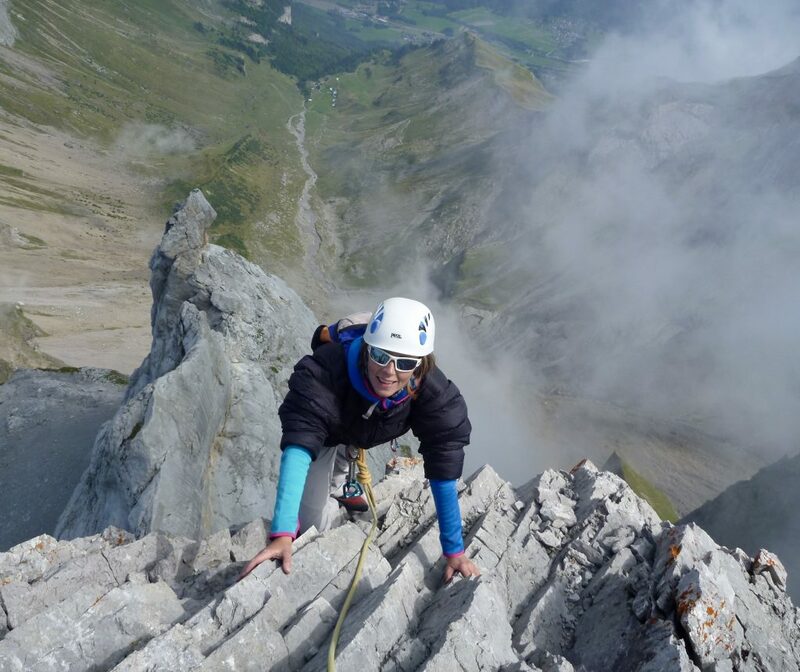 Well done and congratulations to Helen on her ascent of the Eiger today. 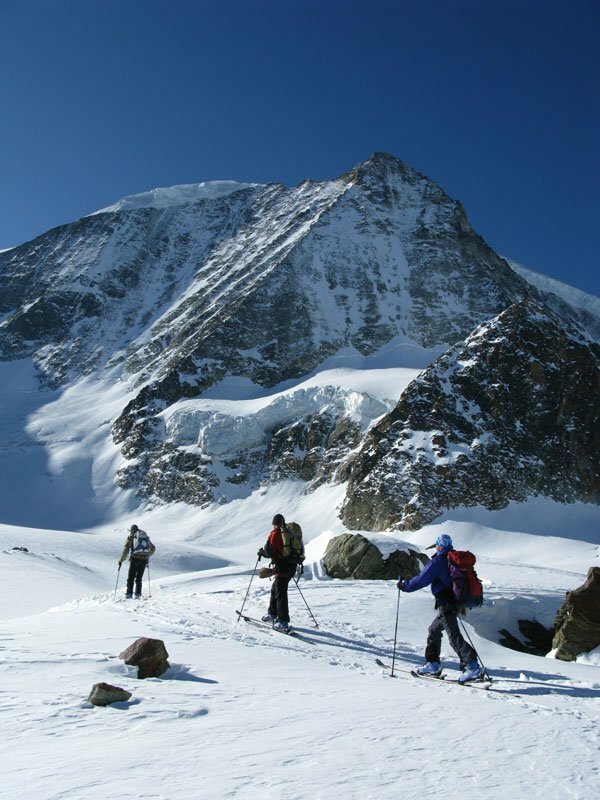 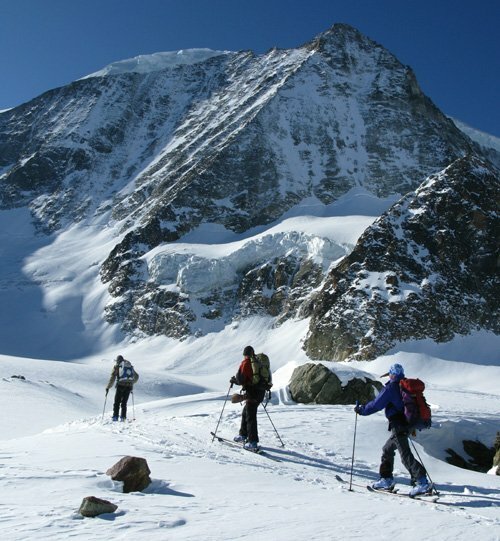 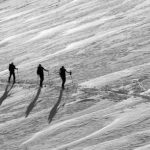 Done in good style with Mike and via the South Ridge after a night at the Monchjoch Hut near the Jungfraujoch station. 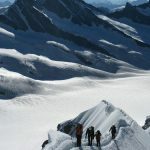 The ascent was delayed after last weeks storms and then the good weather window arrived today – Sunday – so the Mittellegi Hut was already full. 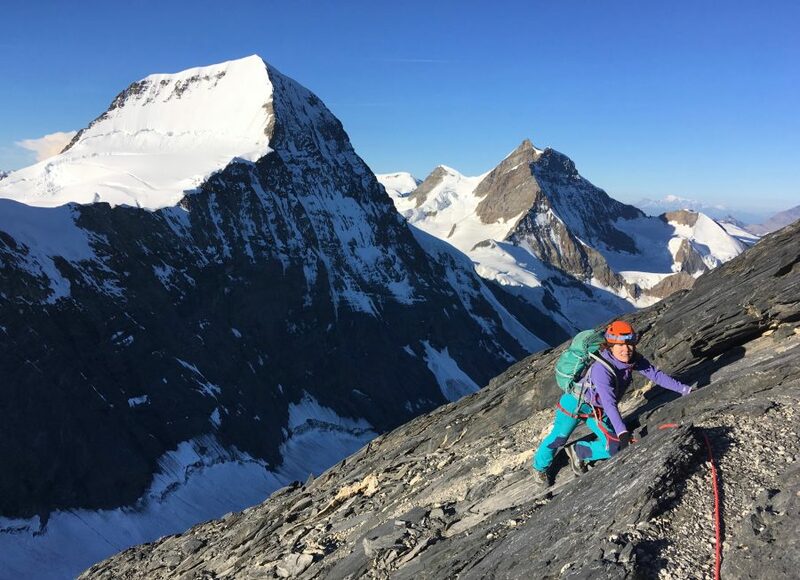 The aller retour summit day from Monchjoch via the South Ridge is actually a bit longer than the traverse from Mittellegi as the big ‘lump’ en route to the Eigerjoch has to be ascended and descended on the ascent and then re-ascended and re-descended on the ‘descent’! 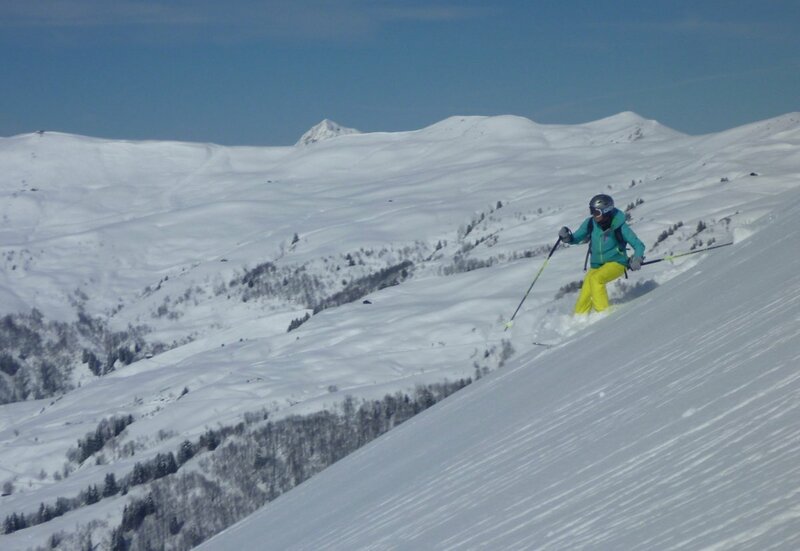 Good conditions were experienced with perfect weather. 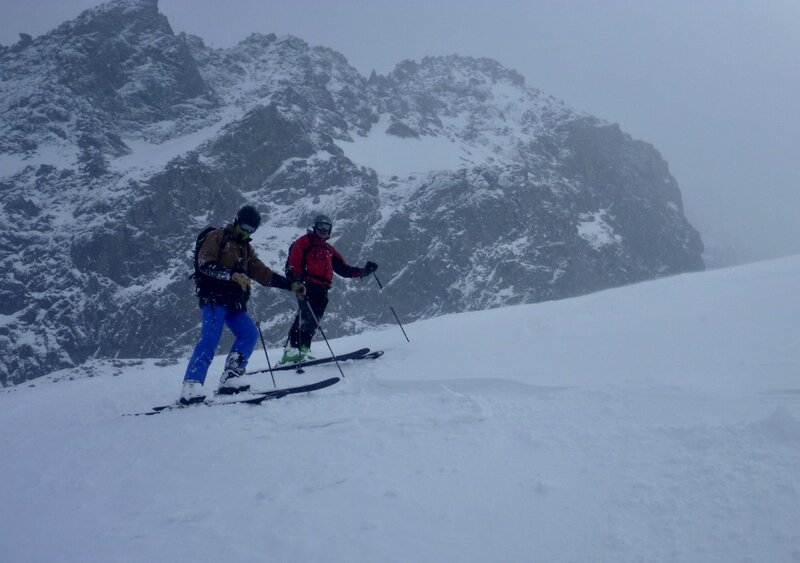 Despite recent storms, the ridge was mainly dry and rock with just a few snow patches which were icy in places. 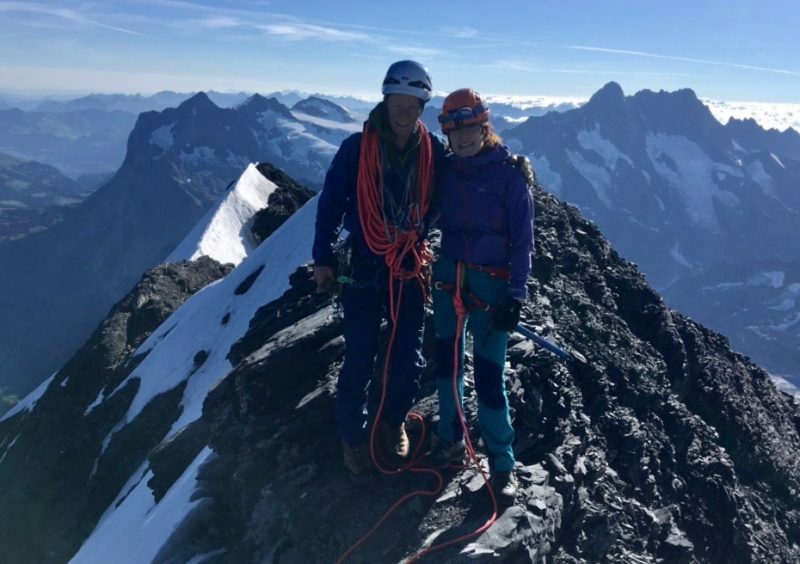 Mike & Helen on the summit of the Eiger, good conditions on the 12th August 2018. 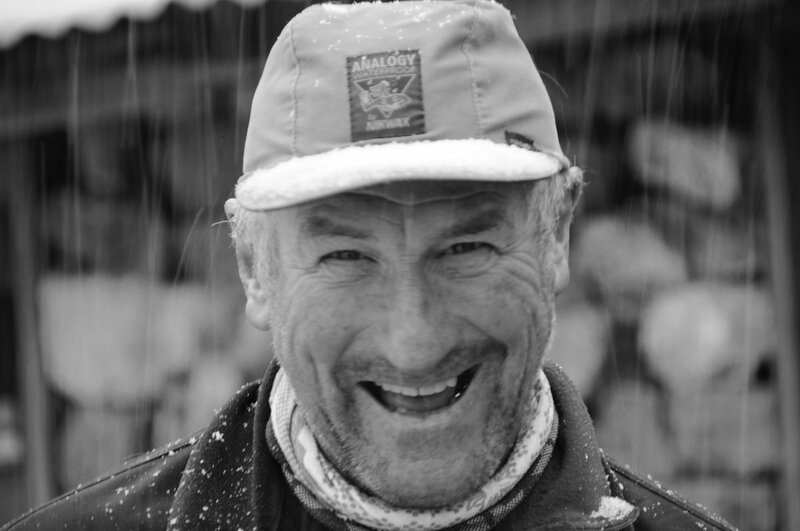 Photo Mike Brownlow. 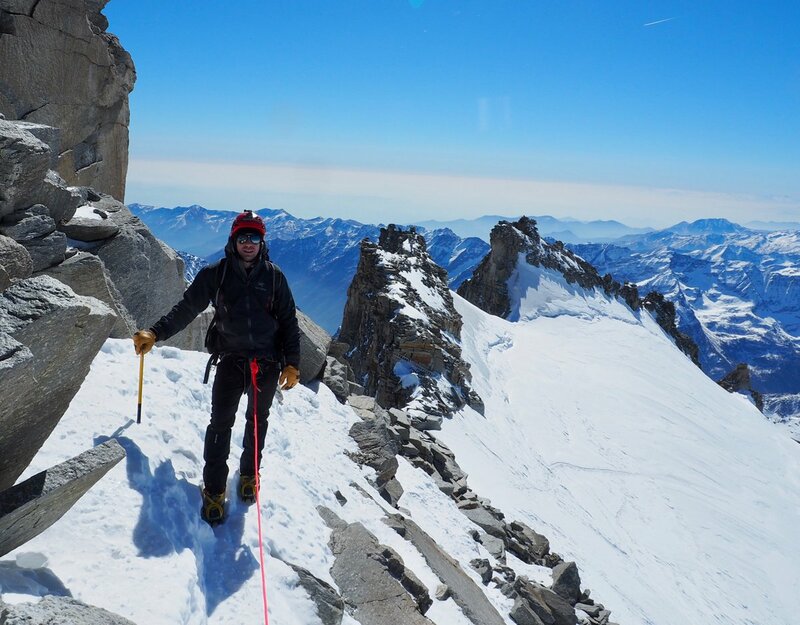 In slightly less spectacular news, we have been mountain walking in the beautiful ‘Fizz’ range between the Mont Blanc Massif and Chablais. 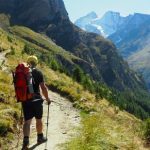 Towering above the Arve Valley the Tour des Fiz gives a great long distance mountain trail with numerous hut to choose from to determine how long you want to take over the route. 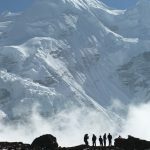 Anything from 1-5 days is normal! 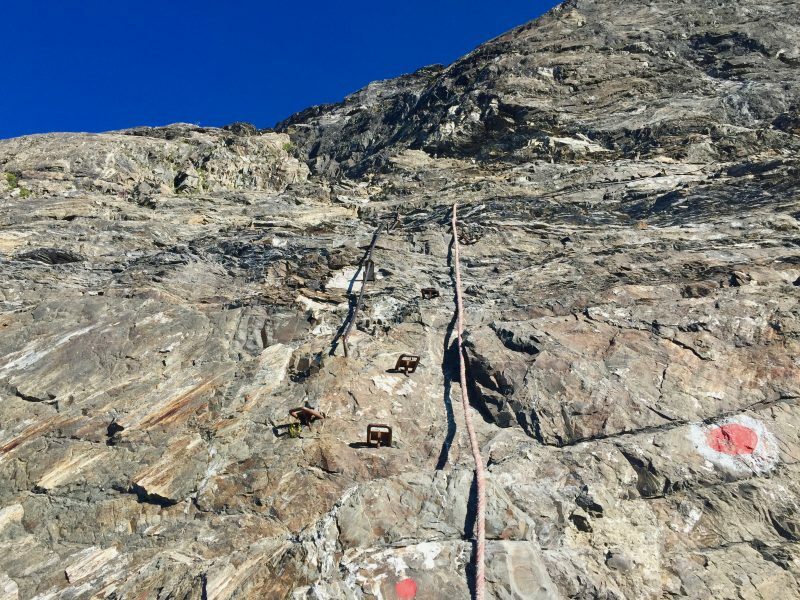 This is a shot of the famous ‘Passage du Derochoir’ above Passy Plaine Joux, which has numerous sections of fixed ropes and metal footholds to facilitate a delicate passage with considerable exposure and some loose rock. 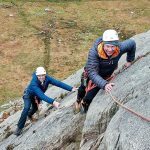 Best done in good weather, and, for those not confident in exposed scrambling terrain, with a guide! 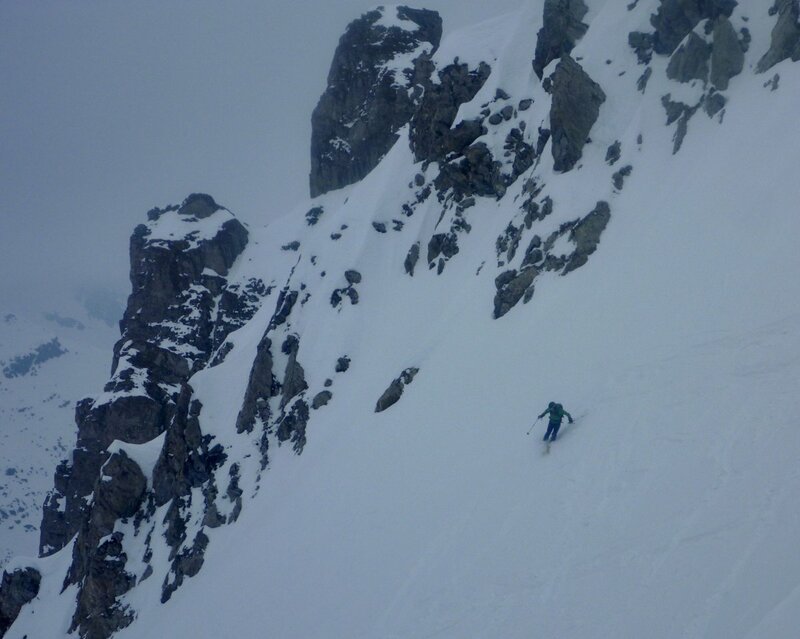 The steep walls and fixed ropes of the Passage du Derochoir above Passy Plaine Joux in the Arve Valley. 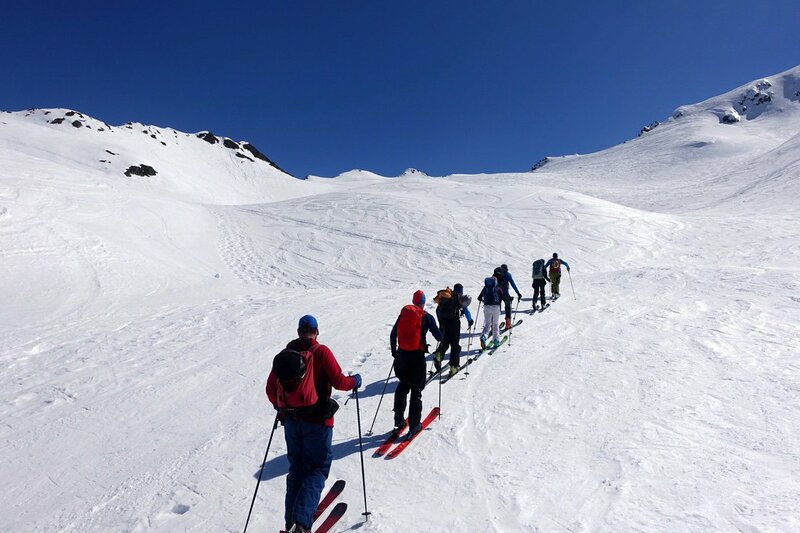 There has been lots of mountain routes and activity this weekend as very good weather co-incides with the main busy holiday period. 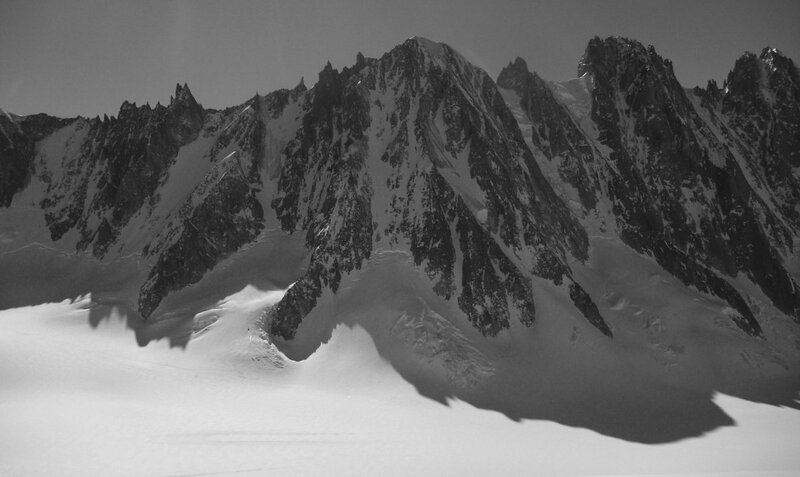 The weather has cooled down a little to a more agreeable temperature, albeit still warm in the sun. 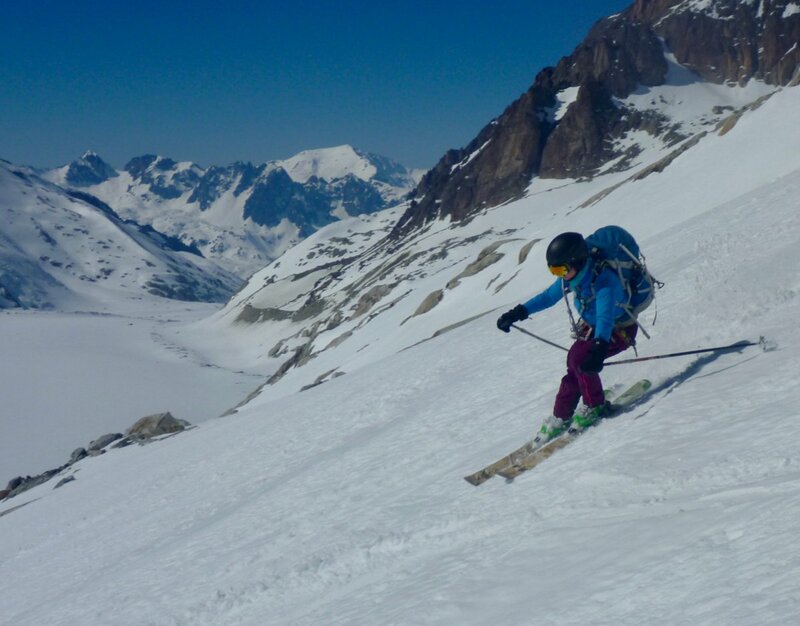 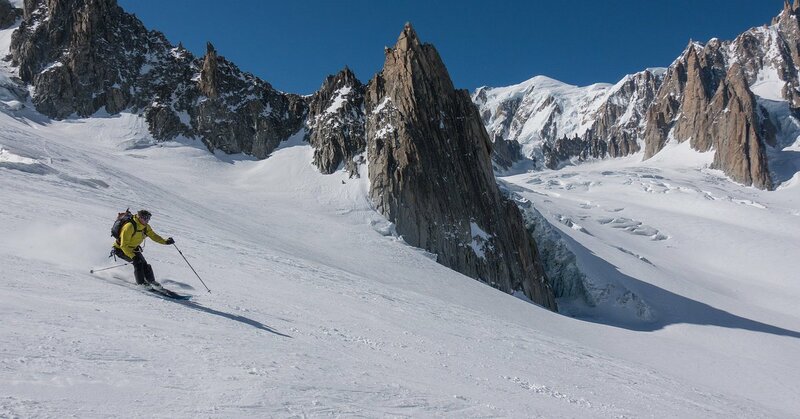 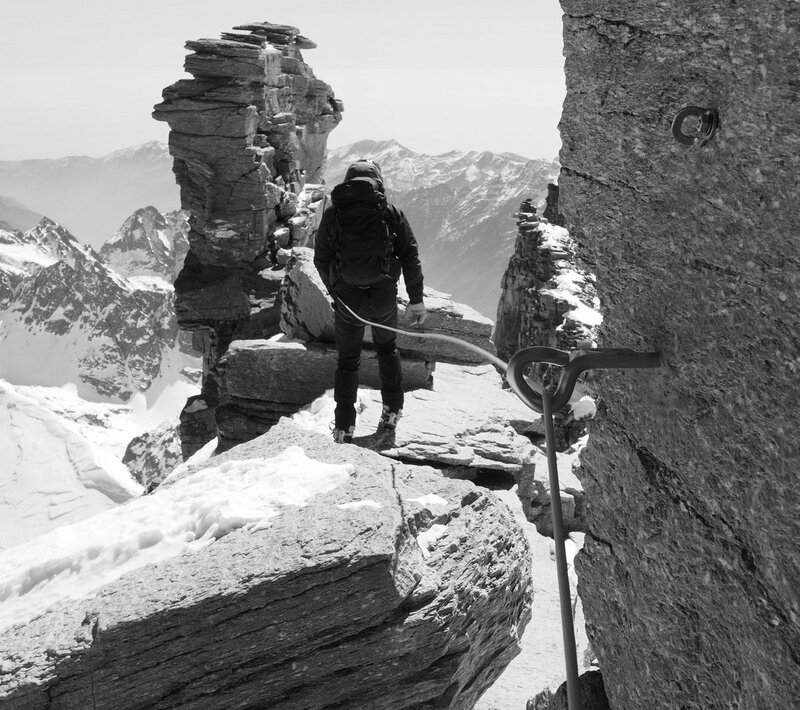 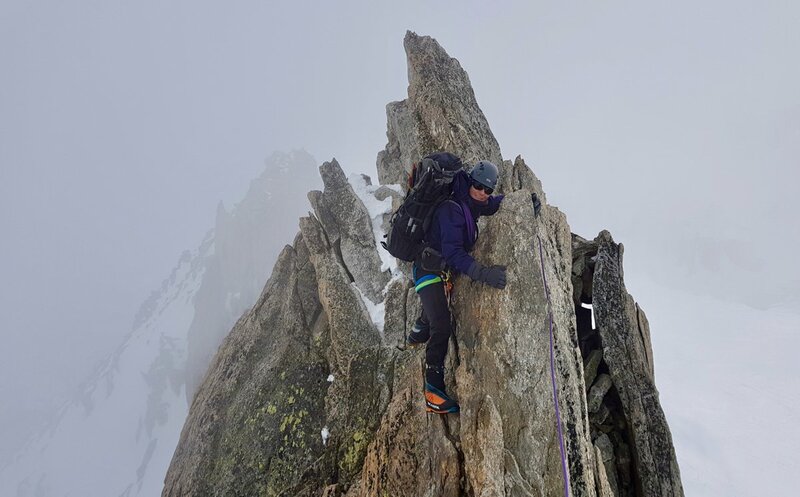 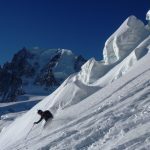 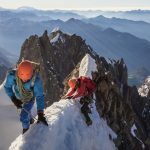 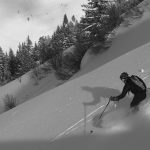 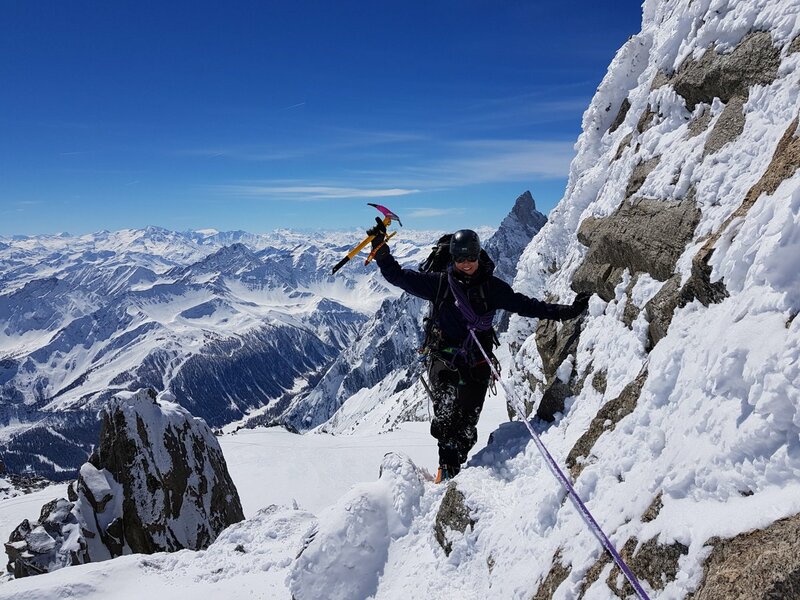 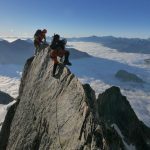 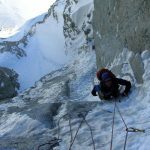 Lots of teams have been rock climbing in the middle mountain – with great conditions in the Chamonix Aiguilles Rouges and Aravis including the famous Arete du Doigt on Pointe Percée.